A Northamptonshire charity which provides assistance and support to the county's blind and partially-sighted residents could lose a quarter of its annual budget. 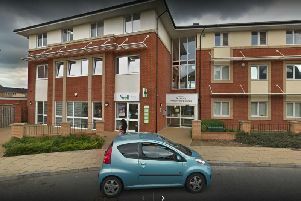 In the county council's latest round of proposed cuts, Northamptonshire Association for the Blind (NAB) looks set to lose their £73,000 contract with the authority - a quarter of its annual £300,000 budget for community services. If the proposal is approved, the group will be served a three months notice, as will other providers of discretionary adult services working with the deaf, people deemed "on the edge", and in mental health services. "We work with some of the most vulnerable people and cutting the funding will have a big impact on the services we provide and on the charity as a whole going forward," said NAB's marketing and fundraising manager Stefanie Weldon. "In the last 12 months our Community Services have carried out over 1,100 visits to visually impaired people in their homes for essential support, we have received 900 telephone support calls, our three Sight Centres have been visited more than5,000 times and we currently host 19 activity groups which all meet at least once a month. "All of those services are part-funded by the council contract." The charity has around 3,000 people on its database who will all be affected by the cut, but that tally does not include the friends and families of those signed up or those who will need NAB's services in the future. NAB is one of the most long-standing charities in the county, having been founded in 1896, and is the only provider of services to county residents experiencing or who have lost their eyesight. The NCC contract dates back 22 years and helps to reduce care costs to the authority through its prevention work. Aside from losing a quarter of its community services budget, the cut is likely to have an impact on the association’s ability to secure further funding. The £73,000 it receives from the council helps leverage other funding and not having it is likely to have a negative impact when it comes to attracting other funding down the line. "Last year’s 10 per cent cut to the contract value was bad enough, but never in our worst dreams did we think that the council would simply stop supporting blind and partially sighted people in this way. "We will have to review our business plan if they do,” said NAB's chief executive, Alex Lohman. "In the short-term we will continue as best we can but it’s simply not sustainable in the medium to long-term." The county council has proposed to cut £300,000 from adult's discretionary services. This includes "contracts with the voluntary sector or small grants to support prevention for customers who are deaf, blind or on the edge or mental health services". It proposes to cancel these contracts and serve three months notice. In so far as the impact of the cuts, the council recognises the services prevent escalating care needs and that, in stopping the contracts, there is a risk that clients become eligible for formal care if their needs escalate in the absence of early intervention. You can contact the NAB via their helpline on 01604 719193 or their website.